This is a gorgeous dress it is blush and the lighting from the church from my weddingade it have a little of a champagne look. It has a absolutly gorgeous sheer back with beading and sparkles it’s such a statement. The straps are made like the back of the dress with the shear beading. If you have any questions just ask. 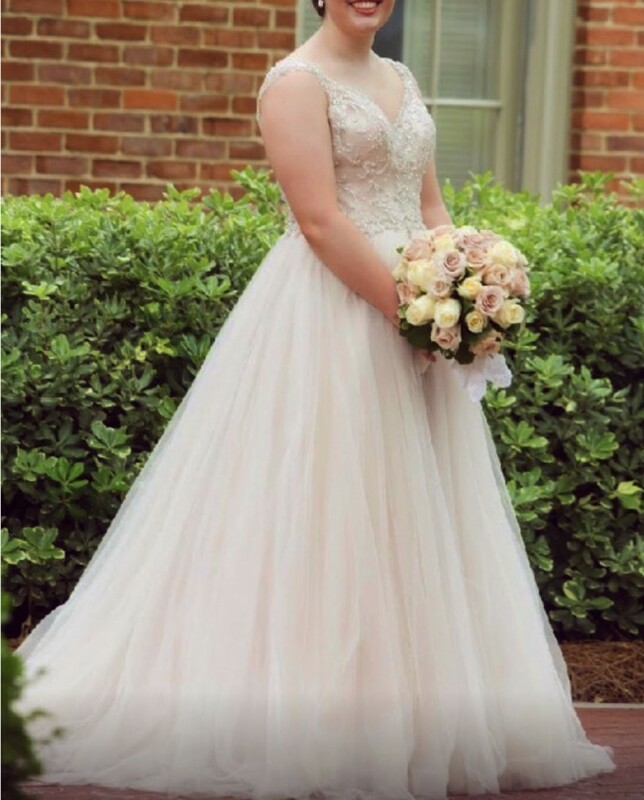 I hope someone can find as much joy in it on their big day as I did!